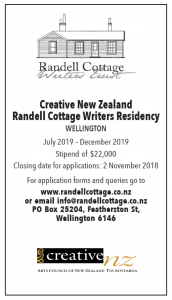 Of Ngati Kahungunu and Irish-English-Scots ancestry, Renée was our New Zealand writer in 2005 and spent her winter working on the first draft of a new play. 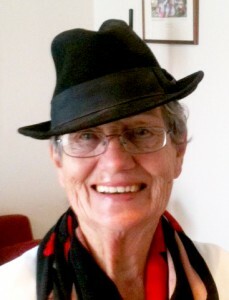 Since the residency, she’s written a play, Shall We Gather at the River, two e-novels, Too Many Cooks and Once Bitten, and is currently working on the third in the trilogy of novels about characters who live on Vogel Place, Porohiwi, No Good Crying. In August 2013, Renée was presented with a Kingi Ihaka award for contributions to literature and theatre and to teaching and mentoring. Her website WednesdayBusk features chapters from her e-books, poems and interviews. to carve itself into the newborn pink of your mouth. First published on Renée’s WednesdayBusk.